The Buchanan High School Mathematics Department consists of fourteen outstanding instructors committed to supporting ALL students in their mathematical development. The department offers courses that are in alignment with Common Core Standards and utilizes an integrated approach to mathematics by offering a series of courses that build upon each other (Math 1, Math 2, and Math 3). To support students, resources are available on the Math Department Website and are regularly updated. Our goal is to provide consistent first-time best instruction to ALL of our students! Throughout the year, after-school labs are available to support students with homework completion and test preparation. Teachers also provide office hours to assist students before and after school and during the school day. We encourage students to communicate regularly with their teachers and to seek out assistance early. If you have questions about the sequences of courses offered at Buchanan High School please refer to the document below. You may also visit our YouTube channel for video lessons and homework help for our Math 1 and Math 2 courses. If you are looking for additional support, consider contacting one of our BHS Student tutors - a list is available from the counseling center. Math 1 is the first of a three-year integrated math sequence that will help students see the relationships between algebra, geometry and statistics. Math 2 is the second of a three-year integrated math sequence that will help students see the relationships between algebra, geometry and statistics. Math 3 is the third of a three-year integrated math sequence that will help students see the relationships between algebra, geometry and statistics. 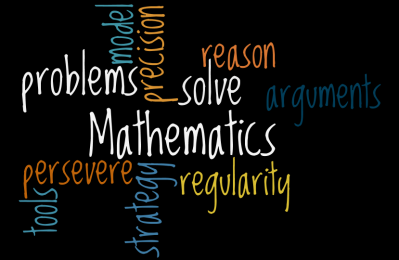 The Buchanan Math Department also offers advanced course work through our honors program, Statistics & Probability, Advanced Math, , AP Calculus AB, AP Calculus BC, and AP Statistics. Other courses include Math Lab (for Freshman) and Foundations of Math 3.